I’m over the moon for London-based Palmer Harding’s designs- particularly the Super and Spicy shirts. The combination of the traditional oxford shirting with the opulent and unapologetically feminine details in the pattern are just spectacular. The large cuffs. The handkerchief hems. The volume. Ugh! It’s turning me into my mother, who is the only person I know besides Andre Leon Talley to use the word “faaabulous” in everyday conversation. But these shirts are fabulous. Here’s The part I love most: The asymmetry. We’ve all seen tent dresses and shirts. And they’re nice. They’re fine. But the bow on the side to contain the extra fullness on the front bodice is just such an unexpected and delightfully feminine touch. 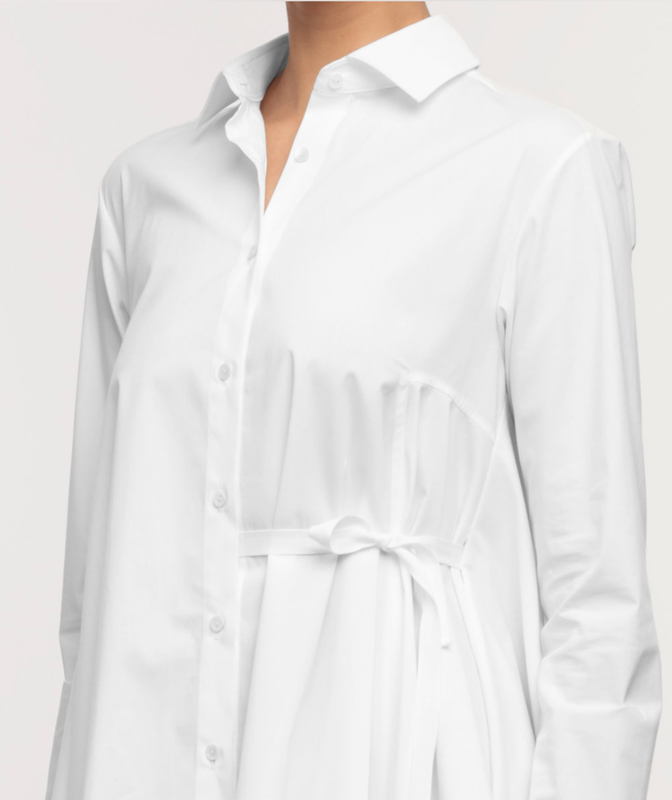 Y’know, I’m certain that I just love this shirt because it is a piece that speaks to my wardrobe goal of being able to get dressed in a minute and look impeccably put together. It’s the one lasting impression that Breakfast At Tiffany’s made on me, and has become my ultimate objective in building my wardrobe. Are you trynna get dressed in under five minutes, too? What’s the plan? I’m curious.